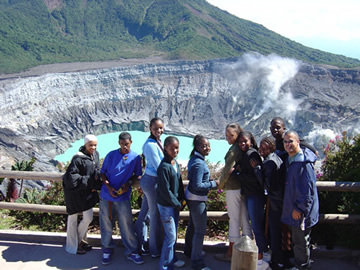 High school group at Poás Volcano. 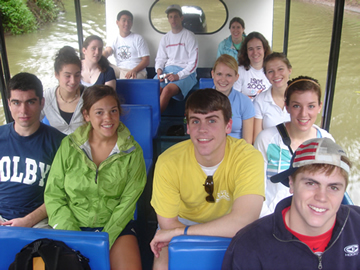 University group in a jungle boat tour of Sarapiquí River. 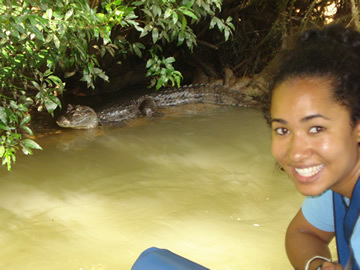 University student on the Tempisque jungle boat tour. 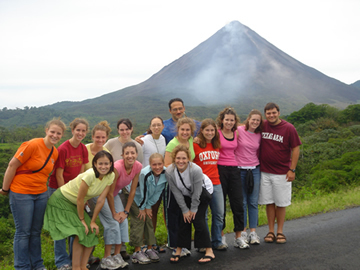 University group at Arenal Volcano. 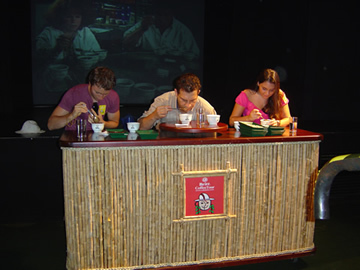 A group of students at Café Britt coffee tour. 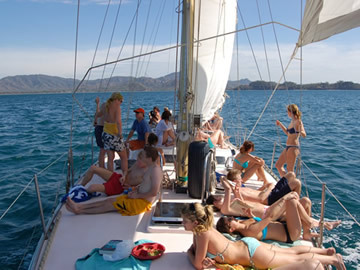 High school group cruising around the Guanacaste beaches. 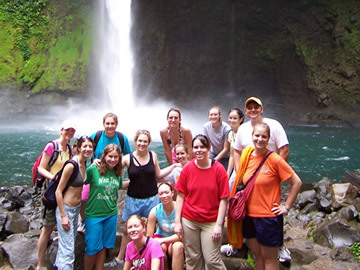 University group in the waterfalls at La Fortuna. 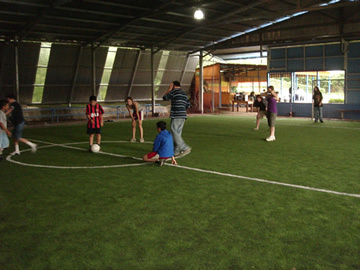 High school group playing football. 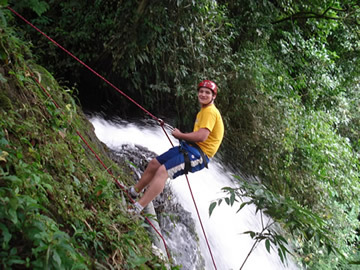 A boy of a university group rapelling down the waterfalls. 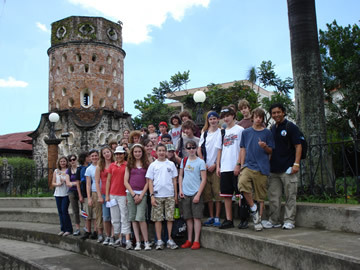 School group on a tour of Heredia. 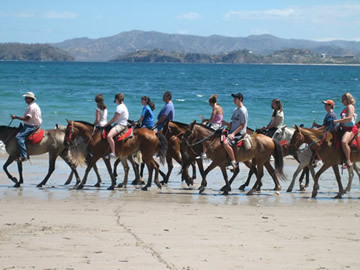 University group horseback riding along Flamingo Beach. 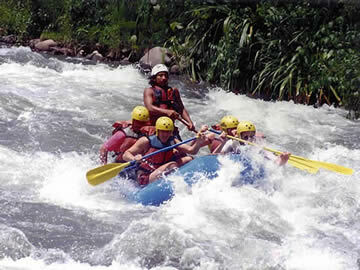 University group preparing for outrigging. 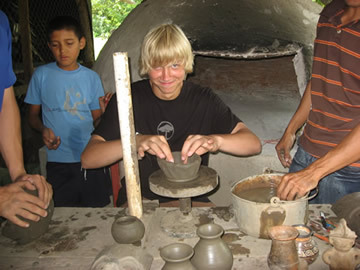 Teenager of a high school group in a cultural tour of Santa Cruz and Guaitil. 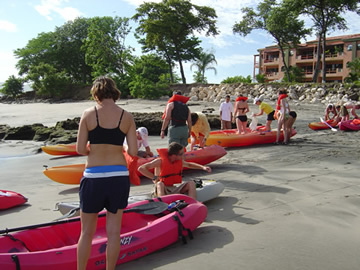 University group enjoying a mud bath at the Rincón de la Vieja Volcano. 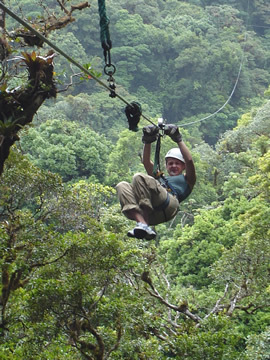 A student at Skytrek in Monteverde. 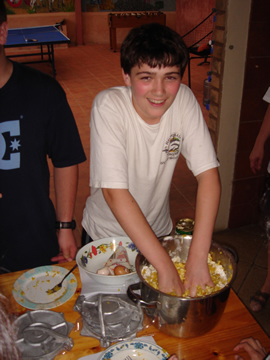 Oregon middle school student trying his hand at empanadas.